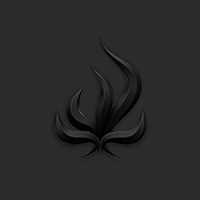 Melodic metalcore out of the UK BURY TOMORROW are back with their 5th full length effort, “Black Flame”, another solid entry that is surely pleasing fans. They take their sound and elevate it to a more classic and powerful level but infused with a modern sound and plenty of cool djent and beatdown vibes. The melodies are fresh and epic, the half-sung half-screamed choruses sound great, and it’s chock full of juicy riffs. All 10 tracks deliver, there aren’t any slow moments or parts where you wish it would just go to the next track. They balance and evenly lay out a combination of more melodic songs and songs that deliver the brutal punch. They nailed the album order, and that’s such an important and often overlooked accomplishment. Opener “No Less Violent” is one of the strongest tracks of the album and kicks things off perfectly with the excellent combination of brutal beatdown style riffage in the verses before a killer catchy and epically sung chorus. It’s the perfect opener and exceeds on just about every level, complete with a great breakdown. Track two “Adrenaline” is also a favorite because in the latter half of the song they bring some of those djangitty djent vibes we love so much. And not just the beatdown style that’s close enough, which there’s plenty of on this album, but full on djent. It’s a good part of a great track, and being the whore for djent I am I would love to hear more of that from them. Track three “Black Flame” demonstrates the strength of their album order, delivering a somewhat more melodic but equally parts powerful and catchy title track, that breaks out of the stereotypical generic feel that tends to plague title tracks. It’s the perfect transition into the middle section of the album, which finds a slightly more melodic and hard rock feel before moving into a heavier back half. From there, other favorites include “Knife Of Fold” which is about as dark and aggressive as the album gets, and “The Age”, which is also furiously aggressive and has a cool TRIVIUM vibe. This is an impressively solid album from now-veterans BURY TOMORROW, and succeeds in establishing them as one of the modern metalcore acts to talk about. It’s netted them their highest chart debut, it’s great to see them making money moves on the back of a rock solid 5th entry. Very well done, be sure to give “Black Flame” a listen.